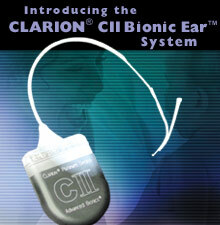 The Clarion CII Bionic Ear system for treating deafness has been released by Advanced Bionics Corp. (13291 Ralston St., Sylmar, CA; Tel: 818/362-7588) and was approved by the FDA. This device was designed to help adults and children with a profound hearing loss. 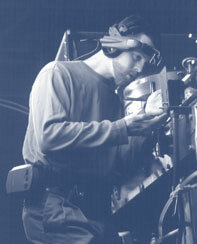 The system uses 31 channels to provide 10 times the sound information than the fastest commercial cochlear implant. The system uses an external package, the size of a pager, which converts sound to a radio signal, and transmits it to an implant which delivers the signal to the nerve in the ear. A group of nonprofit organizations are working to keep those students connected during their summer vacations by building and distributing a directory; in both English and Spanish - of more than 20,000 locations nationwide that offer free Internet access. The ConnectNet Database, and its Spanish counterpart Conectado, are searchable by zip code, will list over 20,000 locations, including public libraries and technology centers which offer computers with Internet access. A toll free number, (866) 583-1234, allows people to call in and find out where free access is available in their area. The Digital Divide Network, http://www.digitaldividenetwork.org/, has a search box on their homepage that allows visitors to their site to input a zip code an get maps to free access sites near by. This program allows low income students and families to gain access to all the resources of the Internet, including research, job search information, local news and information, etc. Please pass the toll-free number and/or web site on to people who need it. An exciting new concept in wheelchair travel Enjoy the freedom of being out and about ON the SHUTTLEBUG ---IN your wheelchair! Easy on - easy off without assistance! A gentle 7-degree slope provides easy access. With the flick of a switch the electro-hydraulic rear axle pivots raising and lowering the ramp / tailgate and the deck. Ride up...raise the ramp...secure your chair... then, hit the key and go... To the back woods, across the fields or thru the mud. The standard hood mounted cargo rack and optional fender racks provide easy reach storage for up to 500 lbs. 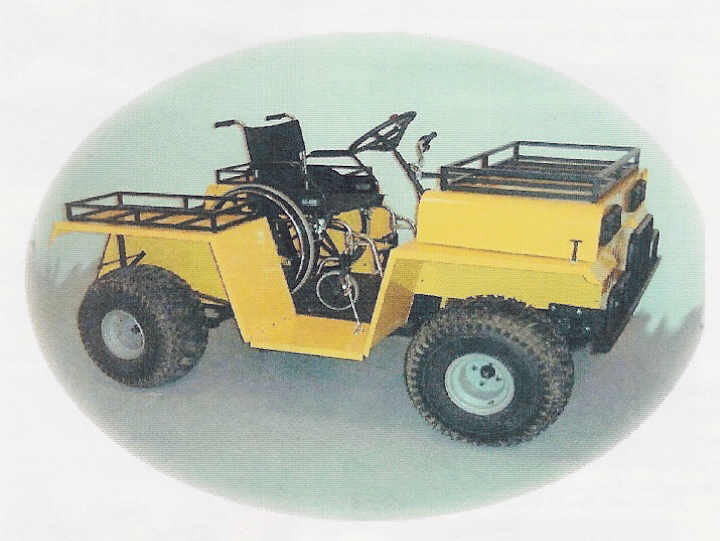 While this is an off road vehicle and cannot be licensed for highway use, many communities do permit them for local transportation making this a great way to go to the grocery or just down to the coffee shop. WordQ writing aid software is a new product for people of all ages and levels of writing ability. With its exceptional word prediction capabilities and effective text-to-speech feedback, writing is made easier for those who need assistance with spelling, grammar, and punctuation. And, unlike other writing tools that require a dedicated word processing application, WordQ software can be used with any standard Windows application. Please go to the Downloads area of our web site http://www.wordq.com to download the demo software. You will need to provide your name and address information before downloading. As the software is 24.6 MB it is best downloaded via high-speed Internet access (e.g., cable modem, DSL, ISDN). This device has 6 degrees of freedom, as opposed to two degrees most other devices have. It senses movements on the x, y, and z axis, as well as pitch yawn, and roll. It is an infrared device, that connects to the computer via the USB port. The rated operating distance is 1 meter. Two versions will be available, one for users with disabilities, and one for gamers. The assistive technology package comes with its own software, including a on screen keyboard and mouse clicking software. Aside from games, the manufacturer indicates it works well with CAD software, and designers can more easily manipulate their 3-D drawings on the screen. A new trend in the mobile computing market are wearable computer systems. The systems have been popular in corporate markets with large field forces, such as FedEx, Bell Canada, and the US military, and are now gaining ground in consumer markets. The biggest pioneer in this industry is Xybernaut Corp. They have just released a system they call the Mobile Assistant V, which has a built in digital signal processor, more power in processing, and an integrated longer lasting Lithium Ion batteries, and light weight (a few ounces) headgear (included a display), flip out flat panel display. The system is to include speech recognition for hands free computing. The system is being made by IBM, who may also market a version of it for themselves. These are computer systems, and not PDAs (like Palm Pilots), so they are supposed to be able to run software that would work on a personal computer. Lionbridge Technologies, Inc. , a provider of solutions for worldwide deployment of technology and content, today announced the first industry-wide program (not a software program) for accessibility testing of technology products. The program will launch on June 21, 2001 to coincide with the effective date for the Americans with Disabilities Act (ADA) Section 508, which requires that technology purchased by the government be accessible to people with disabilities. Technologies that have been tested and are compliant will be marked with a "Verified by VeriTest" logo. Hardware, software, websites, and other products that can support assistive technology will be targeted. VeriTest will maintain an online database of compliant products. The VeriTest web site is www.veritest.com. This is good for federal agencies to know, because it reduces the burden on them in determining what technologies are and are not accessible. It will also be beneficial to other employers and agencies that want to make sure their technology can be adapted for future needs. Go to http://www.lionbridge.com/company/content.asp?intPageID=691∫LangID=1 for the full article. Okay, this one is really out there. Scientists at the University of Wisconsin have developed a "Tongue Display Unit", which uses low voltage electrical signals to provide sensory information to the tongue. To prevent cables from hanging out of the users mouth, the signal is transmitted to the sensory unit via radio frequency. The 144 copper electrodes are plated in gold because (apparently) the copper would stain the tongue green. The cost of the prototype is about $5000. 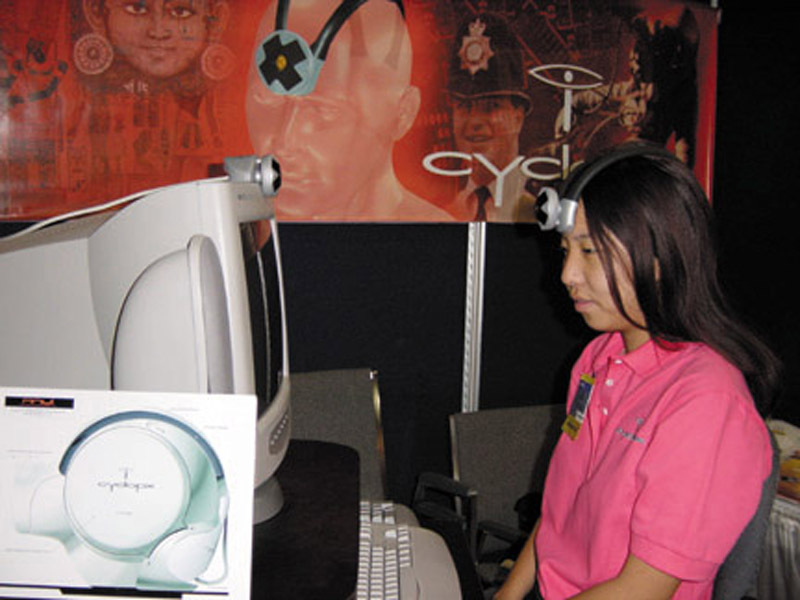 The article suggests that this system would be useful for balance disorders, visual substitution, biofeedback, directional/navigational information for military purposes, search and rescue operations, and extra sensory feedback for video game players (that would be the most unpopular game at the arcade). Basic Speech support to allow users with a computer microphone to dictate commands instead of using a mouse. A new user interface which reduces screen clutter, good for new users and users with various learning disabilities. Increased support for accessibility aids...see the web site for more details. I just discovered the NaturalPoint Track IR which is similar to the Madentec Tracker and the Head Mouse, in that it uses IR and a reflective sticky dot, but only costs $99 (introductory price) for the system. Based on a PC World review I read, it is susceptible to other sources of IR, i.e. sun light. Mouse clicks are handed with keyboard key strokes, so like the tracker and headmouse, click and dwell software must be purchased separately. based on the way the review was written, I don't think the reviewer has used either of the other systems.